Smok V8 Baby-T12 coil head features 0.15ohm resistance and support 50-90W output. It will bring you massive vapor and pure flavor. 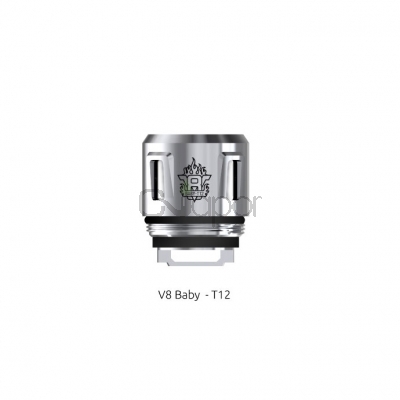 This replacement coil head is compatible with TFV12 Baby Prince tank.